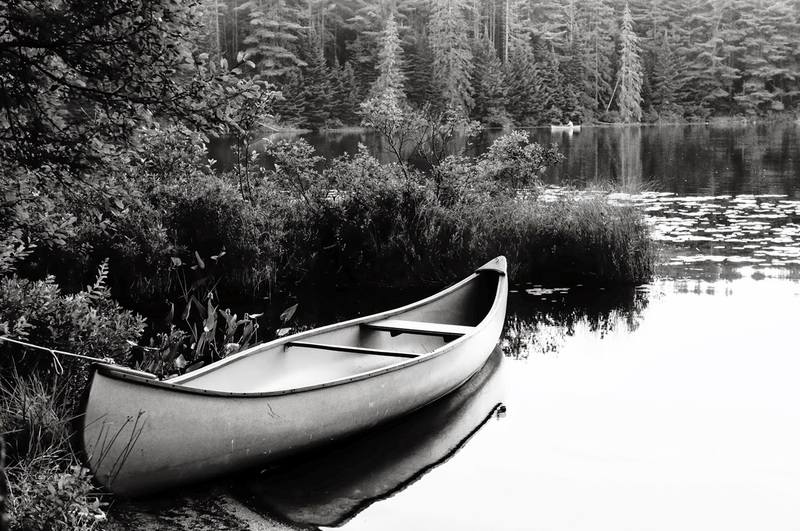 Hidden away in the deep wilderness of Canada’s Algonquin Park is a memorial plaque dedicated to a grandfather and a teenage grandson who lost their lives in a storm on one of the lakes. How it got there is a mystery to passing canoeists. The location is quite remote. The plaque itself is of considerable size and weight, apparently being made of bronze. Time has softened the edges of some of the letters and greened the surface; but the plaque has not been moved since it was put there half a century ago. It is solidly drilled into the rock face. Someone went to a lot of work to ensure that their loved ones would not be forgotten. I’m reminded of this often nowadays. I’m in the middle of life, you see. That’s when people start dying. I don’t mean everyone: I mean the people who importantly inhabit one’s own life-world … friends, colleagues, family members … all the people with whom one has furnished one’s own life story over the past half century of living. Of course, people always die. We only need to read the news or turn on the telly to know that, right? And even some of the people one knows on a daily basis drop off the planet from time to time. Some of them are quite young, which is always a special kind of tragedy. One of my young friends died at 25, when his snowmobile plunged through the ice. And one of my students died at 19, shot through the head with a stray bullet and writhing in her own blood. With her died her unborn child. Shocking. Unforgettable. Wild and awful. But different. At middle age, it’s not just people who are dying; it’s your world. From now on, that set of relations you have come to take for granted will inevitably undergo a gradual attrition until — if you live long enough — there is no one left who is any longer of your generation, and this place as you know it has passed on forever. And you know when you see it that one day your own turn will come. Oh yes, you can turn away from that, but it will come around to you again — at the next death notice, the next eulogy, the next funeral, the next lonely vigil at graveside — and you will manage to remain oblivious only by increasing the amount of energy you are devoting to looking away. Inevitably, you will lose. Who can stand to look at their own death? Who can imagine a world without me? After all, I have only ever known this world with me in it; and though we have surely always known the world goes on, we somehow can’t imagine how it can. What is there after me? Then surely comes that “wild and awful moment”. The human creature, so addicted to life, comes into a final deadly tangle with the Last Enemy. The man who does not fear that fears nothing, surely. Will it come quietly, on a bed, surrounded by loved ones? Will it come agonizingly, with convulsions of collapsing lungs and oxygen-starved heart? Will it come with violence, the screech of brakes and the mad tumbling of crumpled metal? Will it come savagely, kneeling in the desert with slash of sharp steel at the throat? For Christians die all kinds of ways. Who can say how it will be for us? “One wild and awful moment.” Indeed. We are not in the middle of life at all, but only in the embryonic form of those who will last forever. We have but one bump in the road between us and eternity: that single moment which, however “wild and awful”, forever opens to us the vistas of Glory. We shall awake changed, made into his likeness. Sown a mortal body, we shall be raised immortal. Friends and loved ones shall return to us, never to be parted from us again. No sorrow, no sickness, no sadness, no pain. Death will forever be swallowed up in Life. Oh joy, oh glory, oh hope of our souls.